Richard Geffroy, the chef de cave of Dom Perignon Champagne since 1990, will step down from his position at the end of the year, and now it is reported that he will be involved in a new sake brewery opening in Tateyama, Toyama Prefecture. Geffroy’s new brand will be called “Shiraiwa”, which is named after one of the regions in which rice for the sake will be grown. Able to receive the recently in-demand (and hard to come by) sake brewing license from a previous Toyama brewery that closed down, construction on the new brewery is expected to begin within the year. In addition to rice production, Geffroy is said to have chosen the Shiraiwa and Ashimi areas of Tateyama partly for their beautiful natural scenery. Design of the brewery will be handled by none other than arguably Japan’s most famous architect, Kuma Kengo, with product design to be handled by internationally renowned Australian industrial designer, Marc Newson. Included in the project, a Tateyama Brand Overseas Expansion Center is also scheduled to be completed by the end of fiscal 2019 and will be located near the Shiraiwa brewery. This 675 million-yen (US $6M) project is expected to help promote and offer business consultation services for sake dealers and exporters, while also serving as a facility to support brewery visits. 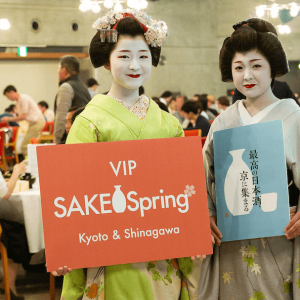 Could this dream team be the shining star that will beckon in a new era of sake brewing with the marketing and industry know-how to bring sake into the international spotlight? Those in Toyama are certainly hoping so. 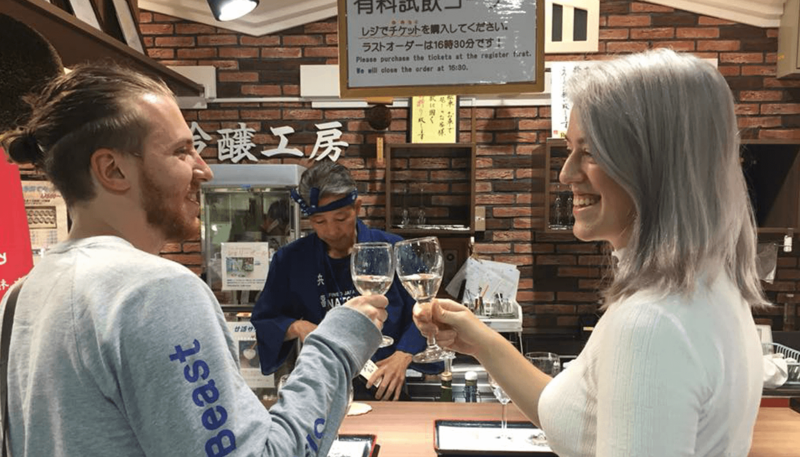 Kampai Sake Tours is a group which helps to introduce travelers to the art and culture of sake by taking them on tours of bars and breweries in Kobe and Kyoto, Japan’s number one and two sake producing regions respectively. Any man and woman over the age of 20 (legal drinking age in Japan) with a social media account are eligible to become Sake Ambassadors and take a three-hour tour of bars and/or breweries in either Kobe or Kyoto. 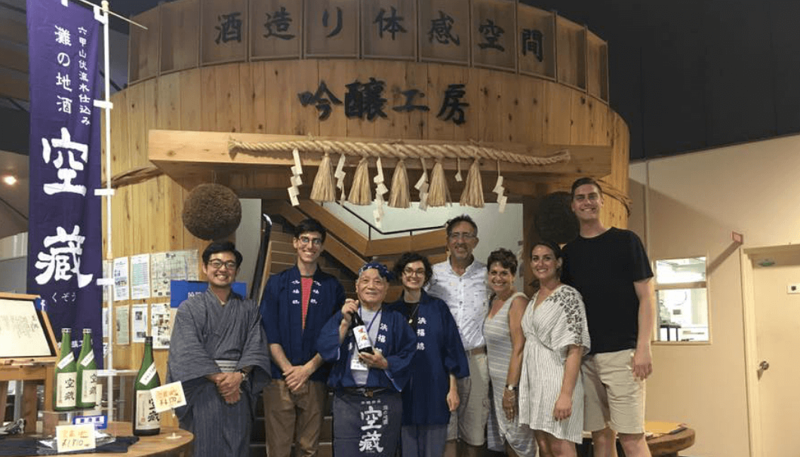 A tour, valued at about 8,000 yen (US$72), will be provided free of charge, provided that all participants simply fill out a TripAdvisor review and post the experience to their own social media accounts. During the program period from now until November 30th, anyone interested in enjoying an afternoon of being a “Sake Ambassador” should refer to the details below and send an email to kampaisaketours@gmail.com with “Sake Ambassador Recruitment” in the subject line. Cost: Tour guide is free, with participants asked to pay tasting fees. The Kyoto tasting fee is 2,000 yen ($18) and the Kobe tasting fee is 1,000 yen ($9). 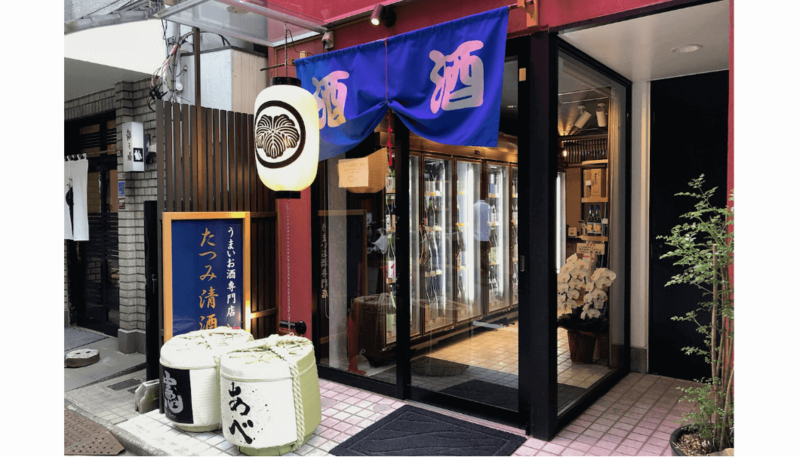 September 2nd marked the opening of Tatsumi Seishudou in the Ginza area of Tokyo, a sake specialty store featuring a wide selection of the fermented rice beverage from producers all across Japan. 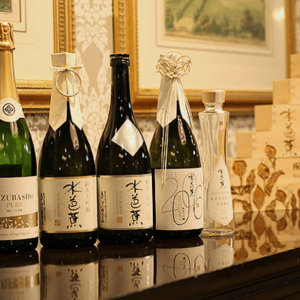 Paid tasting selections change weekly, each of which are served in wine glasses, which according to Tatsumi Seishudou, are said to accentuate each brand’s unique aroma and flavor and provide the best experience. A selection of small side dishes will also be available, with customers able to purchase bottles from their diverse selection. 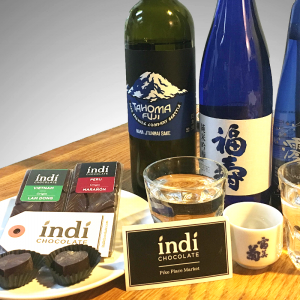 Any new establishment offering up more opportunities for delicious sake discoveries is more than welcome. If you happen to stop by, be sure to let us know what you think.